biotic/abiotic, 2014-15. Installation view. Photo by Giorgio Benni. Image courtesy the artists, curators and The Gallery Apart, Rome. Emily Jones, We Are Water. Platanista indicus minor, 2014. Photo by Giorgio Benni. Image courtesy the artist, curators and The Gallery Apart, Rome. Emily Jones, We Are Water, water on earth moves continually, 2014. Photo by Giorgio Benni. Image courtesy the artist, curators and The Gallery Apart, Rome. Salvatore Arancio, Luffah, 2011. Image courtesy the artist, curators and The Gallery Apart, Rome. Chiara Camoni, La buona vicinanza, 2009. Photo by Giorgio Benni. Image courtesy the artist, curators and The Gallery Apart, Rome. Karen Kramer, Prelude to (HoG), 2014. Photo by Giorgio Benni. Image courtesy the artist, curators and The Gallery Apart, Rome. Andrea Zucchini, when Cortes asked the Aztec chiefs where they got their tools from, they simply pointed to the sky, 2014. Photo by Giorgio Benni. Image courtesy the artist, curators and The Gallery Apart, Rome. Andrea Zucchini, If the eye were not sun-like, it could not see the sun, 2014. Photo by Giorgio Benni. Image courtesy the artist, curators and The Gallery Apart, Rome. 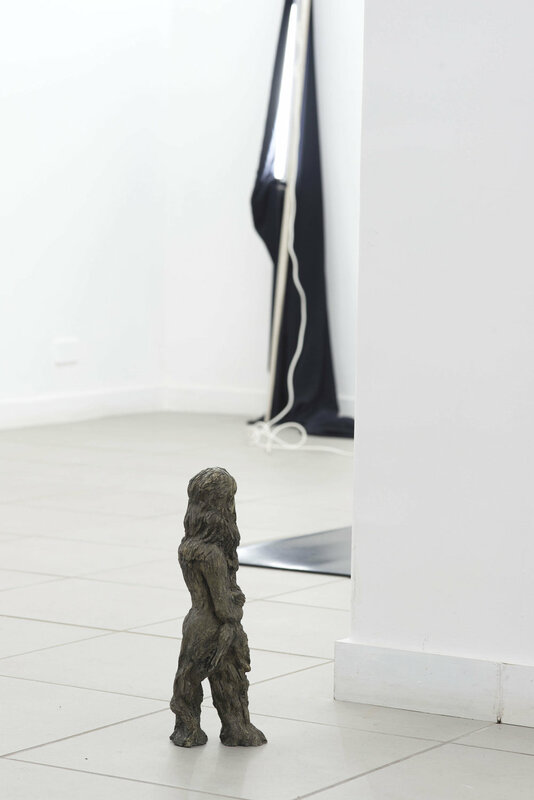 Maria Loboda, The Sound of a Jade Figurine Falling onto a Chondzoresk Rug, 2010. Photo by Giorgio Benni. Image courtesy the artist, curators and The Gallery Apart, Rome. Anna Mikkola and Matilda Tjäder, Human Interference Task Force. Episode 1: Community of Cells, 2014. Photo by Giorgio Benni. Image courtesy the artist, curators and The Gallery Apart, Rome. 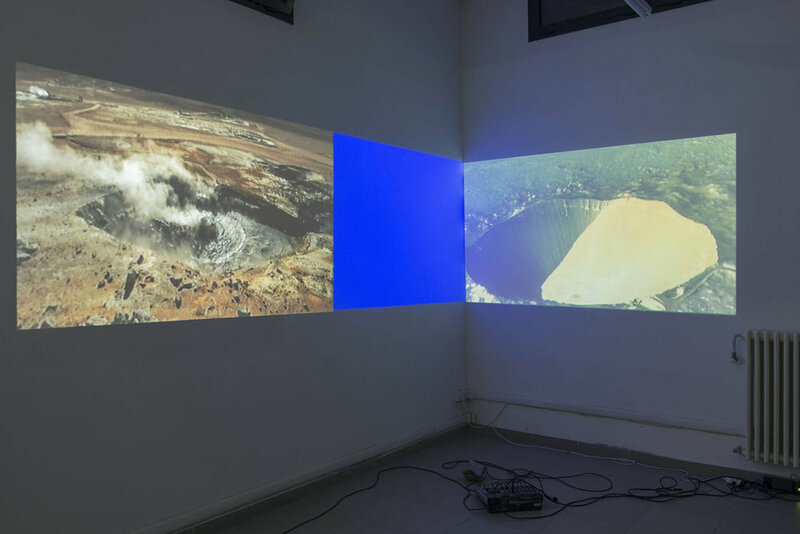 biotic/abiotic formed at the intersection of different habitats – as a guest curated project by Lucy Lopez and I from London, the exhibition took place at The Gallery Apart in Rome and involved the collection of the Nomas Foundation. The connectivity between the biotic (of living organisms) and abiotic (of chemical and physical conditions), led us to explore the dissolution of the semiotic boundaries of nature and culture. Within this chosen division of biotic/abiotic, the exhibition began to explore a selection of overlapping strands: an intuitive use of language as interference into accepted narratives; the distortion of the human experience of time when set against geological phenomenon; the inadequacy of language in approaching matter. The project contained an articulated difference: between the work of artists with whom Lucy and I had an ongoing working relationship, and pieces from the collection of the Nomas Foundation in Rome. The exhibition was concerned with the instability and connectivity at this interface.